Last week we took a family trip to Lake Tahoe. As this trip was approaching I felt like it was the right time to get Isaiah on a snowboard for the first time. I looked all over to find a board that would be his size and found nothing. I figured that I would just hold him and let him ride down a little with me. 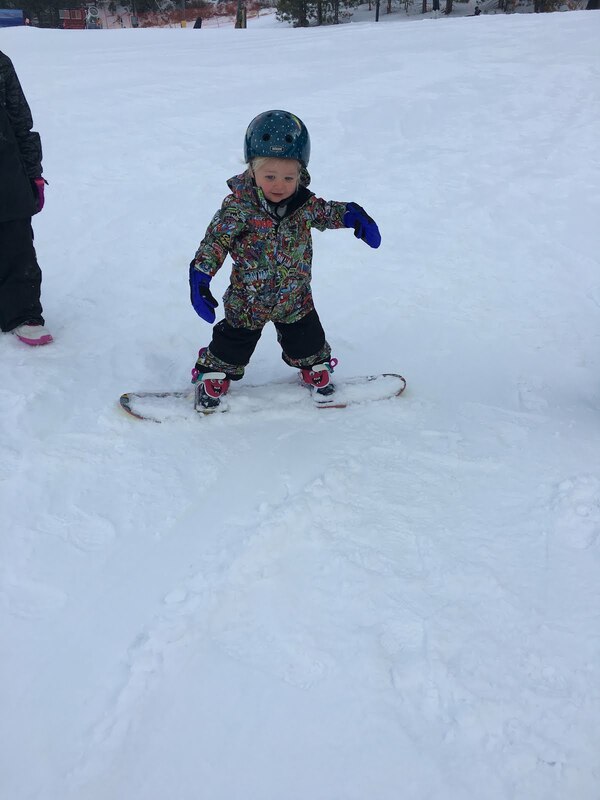 When we arrived at Heavenly Valley our girls wanted to take some laps on the magic carpet. At this time is when Charity had the idea to let him try. See the whole time his sisters were riding he would say "skateboard" (he calls any board a skateboard). It was obvious he wanted to ride it. 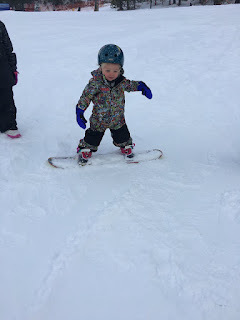 As you can see in the picture he did great standing on the board! His first ride he actually rode down on his own, but later wanted me to hold his hands. I am so stoked for my son and how he rode!